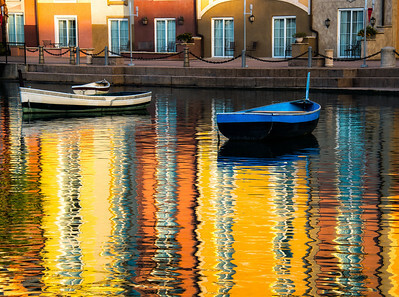 Portifino Bay Resort, Universal Studio, Orlando, Florida as the warn sun reflected in the bay. 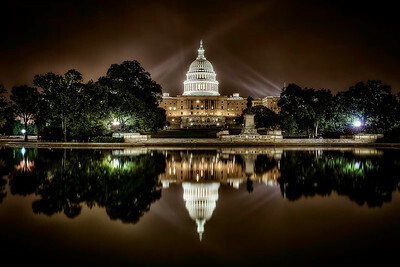 The United States Capital Building reflection. 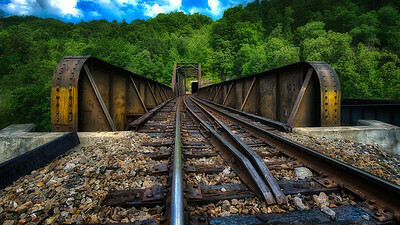 The Nickel Plate Road No. 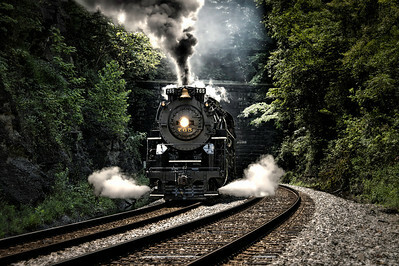 765 steam engine leaving Williamson, West Virginia northbound towards Kermit, West Virginia.